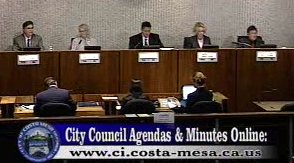 Tonight's regularly scheduled Costa Mesa City Council meeting is going to be just a little different. Tonight the council and the Orange County Fairgrounds Authority (the Joint Powers Authority created to facilitate the acquisition of the Orange County Fair and Event Center) will slip back and forth into their respective robes - sometimes wearing both - as they try to deal with the complex issues that face this city. It may be kind of like the changing room of a fashion runway show! First, at 5:00 p.m., they will meet in closed session as both entities. Why, you ask? Well there are four items on the closed session agenda - two affect the council specifically and two affect the OCFA. There are two lawsuits, one affecting each of them, and two other matters. 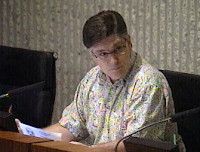 For the council, there is the labor negotiations (we assume Eric Bever will take a bathroom break, run out for a quick meal or just go sit in his car and pout while this is going on since he's already announced he's boycotting future negotiations). Then, for the OCFA, there is a "conference with Real Property Negotiators" for the Fairgrounds purchase/lease. It wouldn't surprise me if this one is to formally throw up their hands and give up on this process. Seems likely, since there are at least three (3) bidders for the Fairgrounds under the new RFP and it's obvious that the legislature is simply not going to pass the bill necessary to enable our sale to go forward. It's time to stop. Maybe, just to make us feel better, we could craft a resolution condemning the Department of General Services for the unfair and obstructionist deadlines and rules they imposed upon the City during this process. To appropriately capture the spirit of the message we could send it on letterhead that includes an image of a hand with only the middle finger extended. No, I don't mean, "We're Number 1!" Then, sometime after 6, the council will convene it's regular meeting and dispense with the public comments, council comments and the consent calendar. 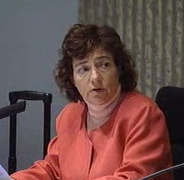 Then, once again, they will shift gears and convene as the OCFA to hear two Old Business items from former mayor Sandra Genis, who will appear as the President of the Orange County Fairgrounds Preservation Society to challenge the two resolutions previously passed by the OCFA. Then they will jump back into their City Council garb and hold a public hearing on modifications to the city ordinance regarding solid waste haulers within the city. The first item under Public Hearings - the Triangle Square LED lights issue - has been withdrawn. Under New Business they will appoint or re-appoint members to the Cultural Arts Committee, Historical Preservation Committee and the Redevelopment and Residential Rehabilitation (3R) Committee. At the end of the meeting they will consider a very significant change to our current Graffiti ordinance - one that will tighten up enforcement and require restitution by the guilty parties or their parents. This was discussed in their Study Session a couple weeks ago. It is unknown whether there will be any sort of demonstration by employee bargaining units as been the case the past two meetings. BARLOW REPORT ON RIGHEIMER/DUI CHECKPOINT? Neither is it known whether City Attorney Kim Barlow will present the results of her investigation into the Righeimer/DUI checkpoint issue. The tapes made at the event were released to the public, but it is our understanding that several witnesses had to be interviewed and their testimony assessed. Time's a'wastin' on this one, Ms. Barlow. The election is less than one month away. Not once...has anyone ever explained to me why Mansoor couldn't get anyone in the state legislature to support the cities deal. Riggy, Mansoor, Monahan were so gung ho about FMW, but they couldn't deliver. The American Fairs and Festivals deal was wrapped up in a bow and ready to go. Solorio was ready to carry the deal and the OC delegation was behind it. Either Mansoor was too ineffectual or stupid to know this. In the end , the city will lose about $255,000,000. Add that to Mansoors legacy along with the $16 million in debt.Thank Allan for supporting FMW and rigging this deal for his campaign $$$ pals. I was there....I watched the whole damn thing.